Editor’s note: We’ve asked several climate experts to answer the question, “What would constitute success at the Paris climate talks?” This column is part of a series that will run over the next few days. 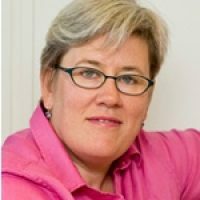 Rachel Kyte is World Bank Group Vice President and Special Envoy for Climate Change and oversees work on climate change adaptation, mitigation, and climate finance. In Paris, in addition to negotiators, there are thousands of mayors, CEOs, community leaders, financiers and more. They are all focused on delivering the business models and solutions that will put into action the national plans filed with the UN that describe the contribution each country will make to tackling climate change. 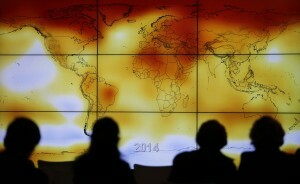 Those plans, when taken together, the UN calculates, will cap warming at 2.7 degrees above pre-industrial levels. That is fatal for many farming communities and cities, small islands and delta peoples around the world. But it’s a start. We are the first generations that have truly had the opportunity to end poverty, and we are the last generations to be able to stop climate change. What we need from Paris, then, is an agreement that includes all countries and leaves no one behind. This means that it should be clear in its ambition, sending the strongest signal possible to all economic decision makers that we are determined to engineer the necessary economic transition. This is a transition to a world where jobs and competitiveness do not depend on carbon and where carbon is priced to reflect the devastation of its pollution. This will make us more efficient, save health-care costs and increase the productivity of our cities and our agriculture. This world is one where we also marshall resources to build our resilience to the shocks of climate change, especially that of the poorest and the marginalized — the most vulnerable. The plans that have been filed in the run up to Paris will have to be revised regularly to take into account progress, technological breakthroughs, financing, business models, what has worked and what has not. The ambition of these plans will have to be revised upward. That process must be agreed in Paris. As we put these plans into action, we will need to support those that will find this transition hard. For example, those who for generations have proudly worked in industries that powered the success of the developed world, but now cannot be part of our future. We will need to agree that as an international community, we will work with those developing countries that have economies dependent on highly polluting energy to smooth their transition. We are the first generations that have truly had the opportunity to end poverty, and we are the last generations to be able to stop climate change. If the negotiators are blocked by that pressure, they can look up and see that remarkable array of community leaders, mayors, pension fund managers, investors and project developers determined to succeed and prosper in a low-carbon economy. They represent trillions of dollars of investment finance seeking steady returns in a volatile world. They represent the future. Rachel Kyte is World Bank Group Vice President and Special Envoy for Climate Change and oversees work on climate change adaptation, mitigation, and climate finance. Ms. Kyte is also the leading figure for the World Bank Group in efforts to campaign for an ambitious agreement at the 21st Convention of the Parties of the UNFCCC this December. She previously served as World Bank Vice President for Sustainable Development and was the International Finance Corporation Vice President for Business Advisory Services and a member of IFC's management team. Ms. Kyte is professor of practice in sustainable development at The Fletcher School of Law and Diplomacy. She holds a master’s degree in international relations from Tufts University, and a bachelor’s degree in history and politics from the University of London.